Holistic psychiatry teaches that within each and every one of us there are great and latent powers, which are beyond the ordinary life. It also teaches that there are practical methods by which these forces can be released. There is an Oriental metaphor that says we have in us a large and beautiful house, filled with fine furniture, a library, and many wonderful rooms, but we are trapped in a kitchen in the basement. We do not know of the rooms upstairs, and if we are told about them, we do not believe. Holistic psychiatry entails more than just prescribing a pill. It means to look at the whole person, the big picture. Just like a child’s education would be incomplete if only one subject is studied; children need to study a variety of subjects including reading, writing and arithmetic, as well as music and physical education to be well prepared for living in this world. In the same way, we need to work on several levels if a real and complete transformation is the goal. Holistic psychiatry means to take a mind-body-spirit approach. This is not just a theoretical position, rather it is the straightforward position that in our everyday life, each part – mind, body and spirit – is specifically addressed. Daily progress in self-development is not the result of accident or chance, rather it comes from a steady practice of working on yourself. Detail from The School of Athens by Raphael. 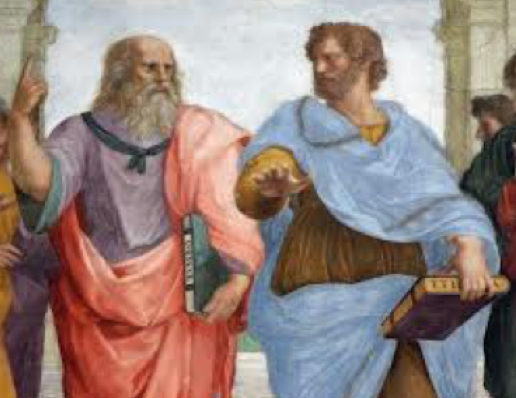 Socrates on left, Plato right. Two of the most famous maxims of Socrates are “Know Thyself” and “The unexamined life is not worth living.” It is clear that for self-development to occur we must learn to study ourselves – both who we are and who we can be. Mind Charting is a tool for tuning the mind, like a radio, to the Channel of Truth – the positive thought wave mind. It is also a tool for understanding the Channel of Maya – the channel of lies, the negative thought wave mind. This is a Sanskrit word, meaning the control and expansion of energy. This is achieved through the practice of breathing techniques. In classical Ashtanga (Eight Limbed) Yoga, pranayama is the fourth limb, and as such, is considered the link between the lower and the higher limbs. Through various pranayamas one energizes the body, purifies the nervous system and clarifies the mind. For these reasons pranayama is considered a gateway to the Higher Mind. Physical training has three components – flexibility, strength and endurance. Each of these qualities are developed in the body and then transferred to the mind. Stretching builds a flexible body. When we have flexibility of the body we naturally develop flexibility of mind. As long as you are flexible, you are never old. As soon as you become rigid, no matter how young you are, you are old. Our central nervous system (the brain and spinal cord) is directly connected to our peripheral nervous system which extends all the way from the tips of our fingers to the tips of our toes. Stretch your body, stretch your mind. Every negative thought creates a contraction somewhere in the physical body. Regular stretching (such as yoga asanas) releases these contractions and helps to strengthen the positive thought wave mind. 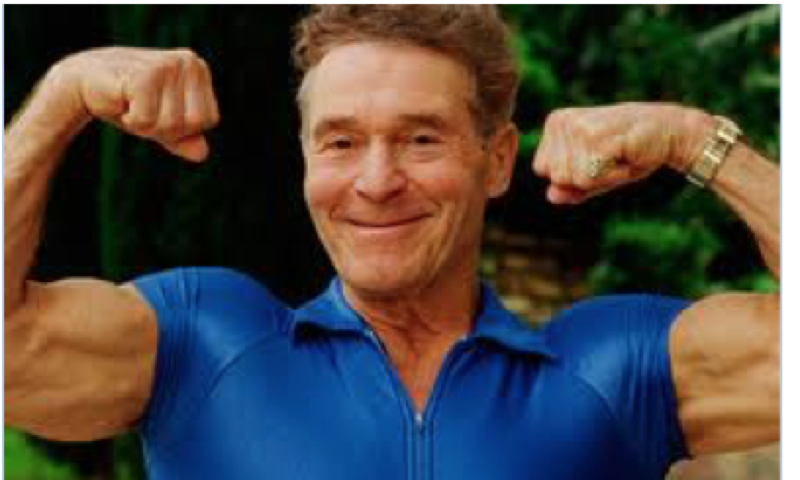 A fitness icon throughout his life, Jack LaLanne celebrated his birthday during his 80’s by swimming across the San Francisco Bay while pulling a tugboat by his teeth. Strength building exercises not only build a powerful body, they promote power of mind which helps keep us from being easily overwhelmed. Strength of body helps to build strength of mind. When we become strong we are not as easily “pushed around” physically or mentally. Activities that increase the heart rate build physical endurance and also promote perseverance of mind. 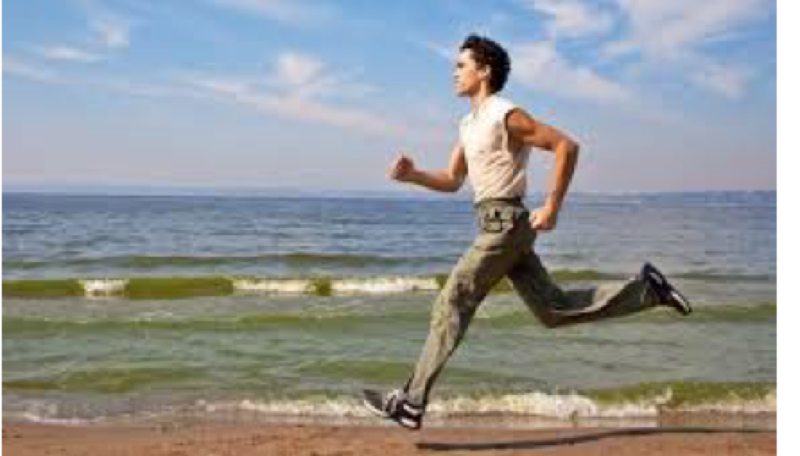 Life is not a sprint, but rather a long distance event. Just like the body needs physical exercise, the mind also needs to be directly stimulated to be truly healthy and strong. Reading books, newspapers, and magazines increases your vocabulary. Learning new languages and playing chess (not just playing but also studying) are examples of premium exercises for the mind. Science has demonstrated that mental exercises like reading and studying promote neurogenesis (the growth of new neurons) as well as increase the synaptic connections between neurons. This is the anatomical and physiological process of developing strength of mind. Words are the building blocks of the mind. By increasing our breadth of vocabulary we increase our breadth of mind. The mind is a bundle of interrelated words which we call thoughts. The quality of the words we say to ourselves (our thoughts) determines the quality of our lives. To maximize mind strengthening, we need to become actively involved in our learning. For instance, if we merely guess at a new word we come upon in our reading, we are not learning at an optimum level. To master a new word, the method we learned in school is best. Write the words down, write the pronunciation and the definition, and put it in a sentence. Just like the body needs physical exercise, the mind also needs to be directly stimulated to be truly healthy and strong. 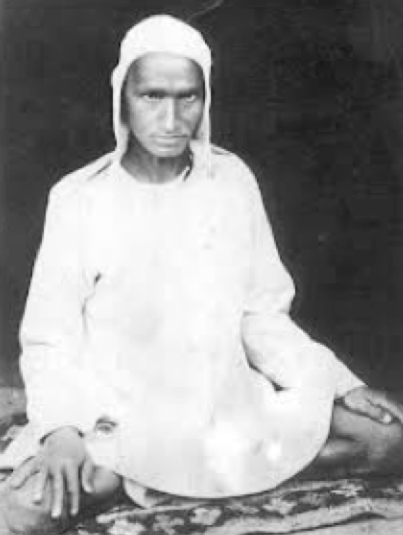 Hariakhan Baba. The legendary yogi of the Himalayas, who is said to have the ability to appear and disappear at will. Meditation is said to be the royal road to self-realization. All the great mystics practiced meditation. 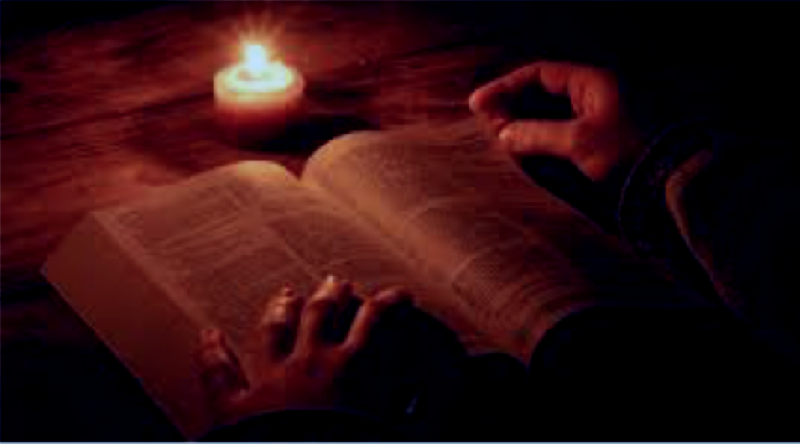 Methods of meditation can be learned from a book, however one can make faster progress if you are initiated into a method from an authentic teacher. Next article“Navigating” Recovery: Difficult When the Map is a Psychiatric Fraud! Dr. Gary Gibbs is a Holistic Psychiatrist. He is a graduate of the University of New England, College of Osteopathic Medicine and completed his residency training in psychiatry at St Luke’s Roosevelt Hospital in Manhattan, a major affiliate of Columbia University. He is a graduate of the Mt Madonna College of Ayurveda and a long time student of classical eight limbed yoga and Baba Hari Dass. He was the director, for over seven years, of the Mind-Body-Sprit Clinic of the County of Monterey, Department of Behavioral Health. Currently, he is in private practice in Holistic Psychiatry in Santa Cruz, California, and is an Assistant Professor at Tuoro University, College of Osteopathic Medicine. But since these psychiatric drug induced syndrome/toxidrome are not listed in the psychiatric industry’s scientifically ‘invalid’ DSM ‘bible,’ these psychiatric drug induced syndrome/toxidrome almost always get misdiagnosed as one of the billable DSM disorders. Out of sight, out of mind, right? How embarrassing for the DSM writers that it appears that the DSM is a fraudulent classification system of the iatrogenic illnesses that the psychiatric drugs create, rather than a classification system of valid, genetic mental illnesses. But this is a bitter pill for the psychiatric industry to swallow, no doubt. I will say, however, that being weaned off the psychiatric drugs does result in a drug withdrawal induced super sensitivity manic psychosis, which of course almost always gets misdiagnosed as a return of the “bipolar” by the US psychiatric industry. But, at least in my case, this manic psychosis did take the form of an awakening to my “Higher Mind,” in other words, who my subconscious self is within the collective unconscious. I will say I do not believe God is impressed with today’s psychiatric industry, especially since most of their clients are child abuse survivors who are being harmed by the psychiatrists, or those within the mainstream medical community who are in lock step with them. Quite to the contrary, during my awakening Jesus supposedly claimed “all the doctors are going to hell.” Who knows? I’ve found doctors who were intelligent enough to understand that anticholinergic toxidrome poisoning isn’t “bipolar,” so I think those who denounce today’s fraudulent DSM system, and actually assist child abuse victims, have a chance. Although I’ve yet to find any doctor who, as the law requires, actually reports medical evidence of child abuse to the proper authorities. An ethical pastor did confess to me, however, that “the dirty little secret of the two original educated professions” is that the religious and medical industries have historically utilized the psychological and psychiatric industries to cover up their “zipper troubles” and easily recognized iatrogenesis, which is a shameful “dirty little secret” for both the medical and religious communities. Ironically, it’s all a twitter, and all over the internet, that we seemingly have an “elite” Satanic pedophilia problem in Washington, no wonder the US government has been advocating belief in today’s scientifically invalid psychiatric industry. But why on earth would anyone want to go to a Psychiatrist in order to find this out? Because they wouldn’t want to seem superstitious by going to a guru. This is why we have books and libraries. Use them, not shrinks. Psychiatry is a holy art. The word itself comes from the Greek psyche meaning soul, spirit or inspire (to breath in) and iateria, meaning healing, so psychiatry is the healing of the soul. It is not the art of simply prescribing a psychopetrochemical remedy. The purpose of psychiatry is to raise one’s consciousness. It is with this in mind that I advocate the practice of Holistic Psychiatry. Consciousness will not be raised simply by taking a pill. 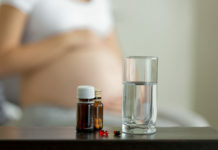 That is not to deny orthodox medicines as having no value. But it is to say psychiatry entails much more than this limited perspective. I agree, using books is part of a comprehensive approach, this is bibliotherapy. Did you try taking deep breaths ??? There was a time where if you said that to me during an anxiety attack I might have punched you in the face. Deep breaths , wow never heard of that one before, thanks !! but I put on the gown and peed in the cup can I have the ____ing Ativan now ? Those days are long behind me but the did you try taking some deep breaths thing !! Breathing techniques and or Pranayama have their place but if your dealing with someone in the middle of anxiety attack hell just leave that one alone. Anyway I agree with all of this, exercise is the best thing ever for anxiety and depression, I know cause I am in the gym all the time doing it, but most people I guess want or are told to want by advertising ask your doctor pills to fix it. when panic begins and find they are unable to do this. It is like deciding to play tennis against a high level opponent and not having learned and practiced correct tennis strokes. Transformation of the breath transforms the mind. But this takes dedication and time. Revolutions don’t come easy. But nothing worthwhile in life ever does. Unfortunately, I have a very negative opinion of Holistic Psychiatrists which may or may not be fair. One nearly killed someone I know. Ironically, it was a conventional psychiatrist that saved her life. When I was tapering off of psych meds and having a horrible time, I called one out of desperation. He told me his consultation fees might reach $4000.00. I said no thank you. Someone else, related to your point, a psychiatrist near me said he was an expert in movement disorders. So thinking maybe he could help me with withdrawal issues, I called him only to find out that the only thing in his toolbox were more drugs. Unfortunately, many people who claim to be holistic practitioners are not adequately trained. To be a holistic psychiatrist I believe one needs to be both expert in the use of orthodox medications as well as being well trained in alternative medicines. For myself I am trained in Ayurvedic medicines. Ayurveda is the ancient system of medicine of india, and is the sister since of yoga. Ayurveda use herbal medicines as well as working with diet, and yoga. The Buddha said “correct you thinking.” This means we need to examine our thoughts and find out ways to think in a new way. This is called Sattva Buddhi, which means the purified intellect. Negative emotions are the result of negative thinking. One needs to learn how to examine one’s own mind. A doctor who begins by saying he needs $4000 to help is like the gypsy fortuneteller who asks for thousand of dollars from her client to ward of negative demons. This type of request should immediately raise red flags. 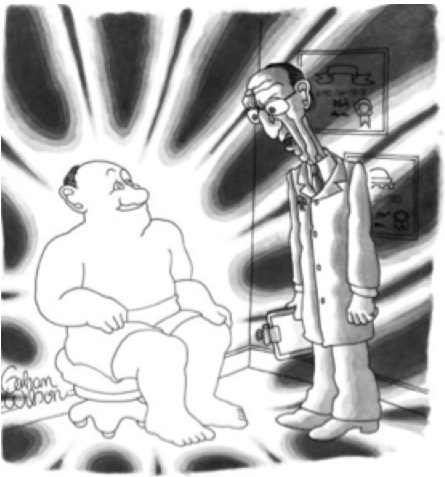 So, what should one look for when seeking a qualified holistic psychiatrist? Is there some association/board qualification? Thanks. finding a true holistic psychiatrist is not easy. I believe you should look for the qualities I describe in my blog, also I describe my background in my website drgarygibbs.com. For me I believe being a true Holistic Psychiatrist includes being trained in a comprehensive holistic medical system such as Ayurveda or Unani or Traditional Chinese Medicine as well as taking a mind-body -spirit approach to psychotherapy- for me that includes mind charting, Greco-Roman Mind Training (this is based on study of Stoic Philosophy), teaching meditiation and pranayama. Many doctors who say they are holistic to me are not well trained. Unfortunately there is no residency or fellowship program in Holistic Psychiatry. I have a goal of trying to start a fellowship program in this, but first step is to get my book completed which is very close, then find an agent and get it published. I have been teaching classes from time to time to the American Osteopathic Association and also to an Ayurveda Confernce on Psychology. I believe a fellowship program is much needed in Holistic Psychiatry, but as of now this does not exist. Thank you, Dr. Gibbs, for that detailed response. Can holistic psychiatry address every psychiatric diagnosis, or does it have limitations? A relative suffers from severe ADHD and comorbid SUD (alcoholism), and my online research has pointed to pharmaceuticals like atomoxetine. Can holistic psychiatry help someone like her? The other issue is the dearth of holistic psychiatrists and her venue. She lives in a small city in the Ole Deep South, not exactly a “progressive’ area in regard to health care. She has the means to travel for care, but psychiatric situations require accessbility not only for regular followup but in case of emergency so that probably wouldn’t work. I can make myself visible and invisible at will like the yoga Hariakhan Baba (- I’m only joking). There are tons of people from all walks of life teaching this now. It is innate wisdom. When we release all of our family, social, and media programming and resistance to change, stop grinding axes, take responsibility for ourselves, quiet our minds, come into present time, and learn to dialogue with life with awe and humility, we get it, and we can unearth and integrate our natural gifts into our create process. That is the paradigm shift–an entirely new experience of life. It is within each of us, and not at all contingent on outside influences. It’s also important to stop caring what other people think. I believe that this is our biggest power and energy drain, to make the opinion of others our focal point in life. Thank you for this extremely well written and well presented blog entry. Having worked with individuals within the mental health field for over twenty years I find it refreshing as well as imperative that people have alternatives to the typical psychotropic regimen. I have had the pleasure of utilizing this approach in practice and have observed my clients flourish as a result. Please continue to promote this holistic approach to the population at large and for taking the time to educate others to alternatives to western medicine. Looking forward to reading your book when it hits the bookstores. the question above is can Holistic Psychiatry address alcoholism and ADHD. Of course a holistic approach is always useful, AA is an example of a holistic approach recognizing the importance of spirituality in any real recovery. ADHD responds well to brahmi, an Ayurvedic herb as well as looking at all the causes of attention problems, for example, the need for a tutor, understanding if there are family problems at home affecting concentration etc. The power of Brahmi in effectively overcoming ADHD has been demonstrated in scientific studies. Unless one understands the importance of schoolwork artificial stimulants such as Ritalin are only a bandaid approach and leads to addiction to a stimulant as well as risking chronic fatigue from artificial stimulation over a long term. 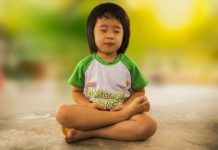 Tratak, a yoga concentration exercise is also very helpful in cases of ADHD, and helps with developing the power of concentration and improves eyesight as well.